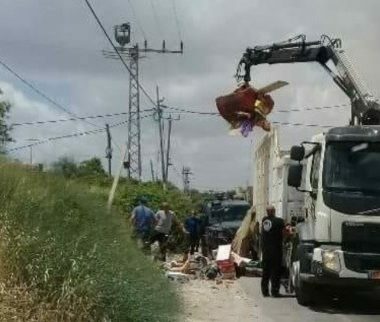 Israeli soldiers demolished, Wednesday, a number of stalls of Palestinian farmers on the Hebron-Jerusalem road, near the main entrance of Beit Ummar town, north of Hebron, in the southern part of the occupied West Bank. 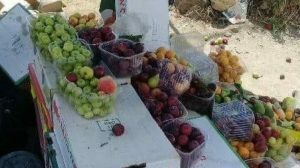 Activist Mohammad Ayyad said workers of Gush Etzion colony’s council, and many soldiers, invaded the area and demolished the stalls, in addition to illegally confiscating large quantities of fruits and vegetables, including Tomatoes, Grapes and plums. The stalls are owned by farmers from the families of Sabarna and Abu Mariya, who sell their lands’ produce to provide for their families.